What if we just print the money we need to pay off the entire debt? Why is that crazy? Wouldn’t the positives outweigh any negatives? Do it all at once or over 10 years. Our total debt equals only 60% of our GDP if you take out the money we owe various of our own govt agencies. (Japan’s is 240% by comparison; Greece and Italy are well over 120%). First, the DEBT reduced to zero. Second, the dollar plunges. Good! That means our goods and services are cheaper for other countries to buy which means sales increase and JOBS are created and the ECONOMY improves. I don’t know what the negative is to that but if you do please let me know. And feel free to pass this along to your local congressman. On second thought, don’t. This is not really about the economy so much as it is politics/elections. I think we should adopt an Amendment which gives us a Parliamentary form of government. That is, whoever is in power can get their agenda passed. We elect a president by a majority and he/she should be able to get the agenda on which they were elected, enacted. If it works, great, if not, elect someone else. This will remove the fog of blame that has this country in its current state. Also, eliminate the silly tax loopholes that allow GE to pay 10%. I also think a flat tax for all individuals is a very good idea that meets the “fair share” argument. That’s it for today, back to working on stuff I actually know something about! The Demise of Google and Facebook? This is a video presentation by Roger McNamee, founder of Elevation Partners and prior to that Silver Lake. He hypothesizes about some very large trends such as the demise of Google and Facebook. He predicts Apple and the closed environment will win. Whether you agree with that or not there are some very compelling points and he makes a strong case. The final 20 minutes is Q&A which you can skip and not miss too much. Next year watch us win! It occurred to me over the last week or so that there is this raging economic debate going on in this country (not to mention Europe) and I felt like I wanted to understand it beyond my own hunches and biases (we all have them no matter which party you call home). The result, some of my hunches were true, some of my biases were false and regardless this is a very serious problem for all of us and we need to get this right. You can click the link above to read a full article on the report. I am continually fascinated that we’re in the middle (actually the beginning) of the second Internet era in such a short period of time. Truly exciting. This wasn’t exactly the type of business I had in mind when launching but no matter what type of business you are this is a great tool to connect and engage with your customers. 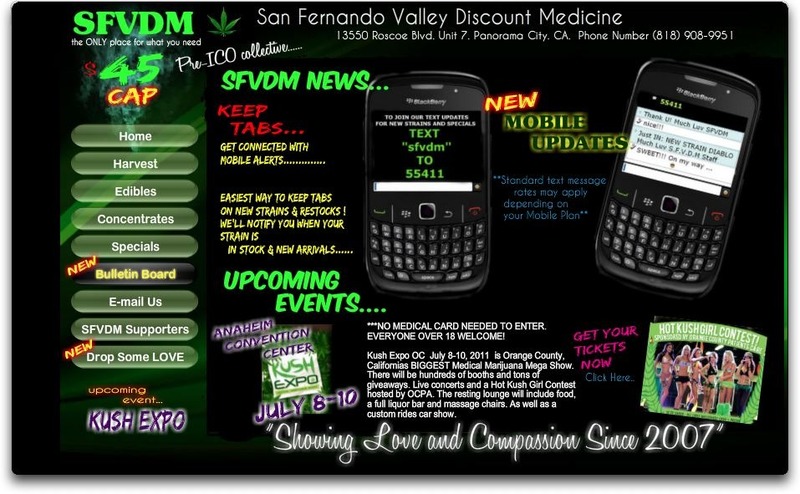 SFVDM is now regularly communicating with their hundreds of subscribers via text. If it works for them it works for me! New research out from Accenture. Big media thinks the future is in your phone. The consulting firm asked “130 leaders and decision-makers in the Media and Entertainment industry” about their digital content plans and mobile ranked as the number one content consumption device in the next 12-24 months.